The Salming Viper men’s court shoes boast a low profile and are fast and agile court trainers. The upper is light and breathable and incorporates Salming’s ExoSkeleton™ and ErgoHeelCup™ which maintain feet in the correct position and give a great, comfortable fit. 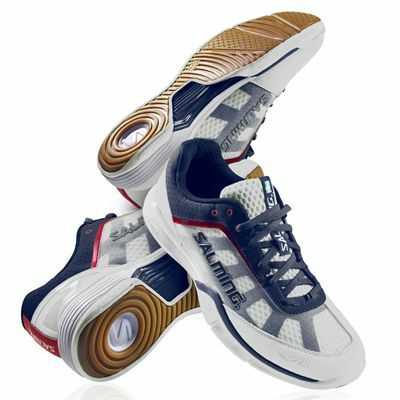 The Torsion Guide System maximises stability, comfort and performance, and the EVA RunLite™ midsole improves responsiveness. Lateral Movement Stabiliser supports your feet, and LMS+ helps prevent ankle injuries. The non-marking outsole is durable and offers excellent traction and control thanks to the XR110 technology. On the inner edge is Salming’s RollBar™ that delivers quicker and better lateral push-offs. 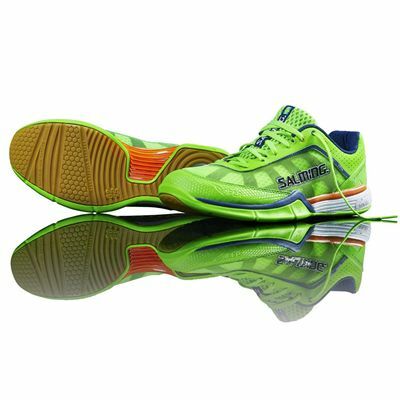 for submitting product information about Salming Viper Mens Court Shoes We aim to answer all questions within 2-3 days. 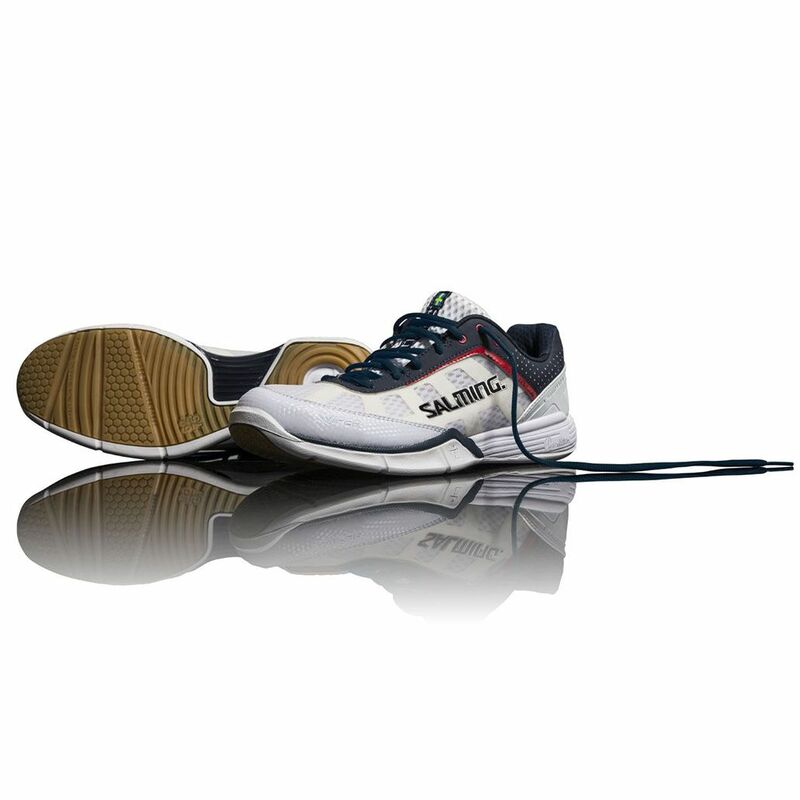 for submitting product information about Salming Viper Mens Court Shoes. We aim to answer all questions within 2-3 days. If you provided your name and email address, we will email you as soon as the answer is published. Very hard compond used on soles which made them very slipppy on a squash court. I'll stick with Asics! Returned for refund. My old Prince squash trainers were great. The fitting was excellent as I have wide feet. These are not quite as wide a fitting, but extremely comfy. I played squash for a couple of hours and the tightness became less noticeable. They are light and seem to be very well made. The grip, which is really important, is excellent. Highly recommended for normal width feet. 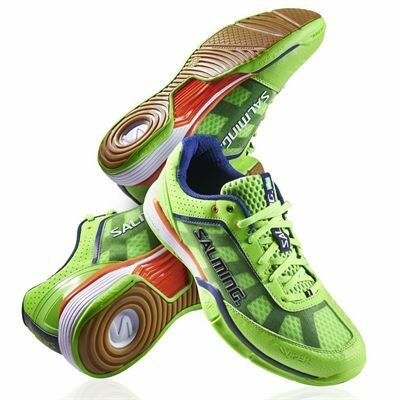 Try before you buy if you have wide feet, but should be ok.
for submitting product review about Salming Viper Mens Court Shoes.